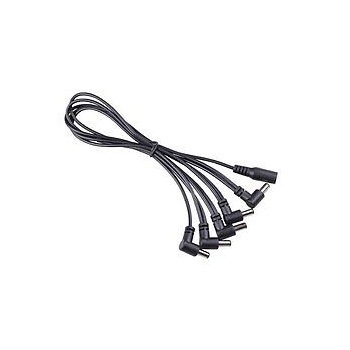 5 x 2.1mm power plugs connected together in a daisy chain. Can be connected to a power supply via the 2.1mm barrel socket. Allows up to 5 guitar effect pedals to be powered from a single power supply. Utilises small and neat right angled plugs to save space on your pedalboard.